My older son loves dogs. Every time we are out and he sees someone with a dog he turns to me and says, “Mum look how cute that dog is, I wish I could have one”. Every time I hear that my heart aches and a strange feeling of guilt takes over me. Although the idea of having a dog at home was not on my priority list, watching my son begging me for us to have one, makes me start thinking “why not”? I am home most of the time, we have a decent home size to accommodate one more family member and dog walks are not something I cannot add to my daily schedule. It is all about making my boy happy! So, after talking to my husband about the matter, we decided to get a puppy. I was so excited to tell my son he will finally be able to have a dog and see a big smile on his face, hearing him saying “Thanks mum, thanks, I love you so much! You are the best mum in the world!” And it was no different than what I have imagined. So, our next step was to decide which dog breed to choose. 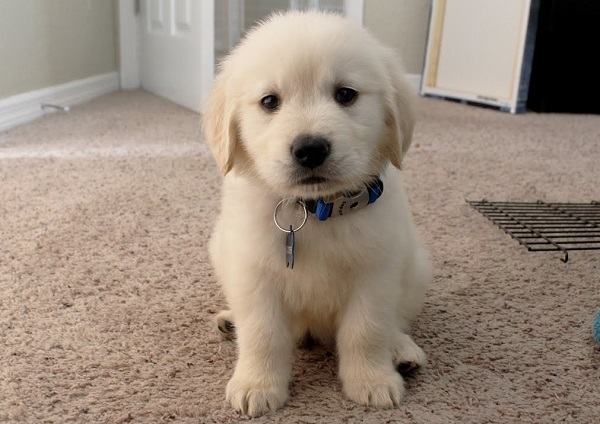 After researching what dog breed will best fit our lifestyle, we decided to get a Golden Retriever. They are lovable, cuddly, cute and irresistible all at once. 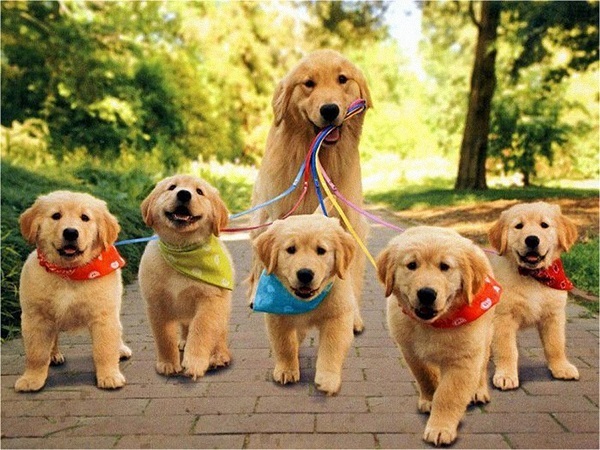 Plus, they absolutely love to play, which makes them the perfect dog to be around kids. So, last Saturday, we got a new addition to our household – an adorable Golden Retriever puppy named Uno. I can say that he has already stolen my heart (no need to mention my kid’s heart). I knew that to take care of Uno as a family member, I would need some pet supplies. So, we went to the pet store and got a bed for him, adequate bowls for food and water, grooming and bath supplies, proper food for his age, toys, and three different dog collars. I know you may be thinking: “Wow, three different dog collars? !”, but I will explain why. Just like when you give birth to a child you cannot just go and buy one type of diaper (we buy different ones to see which ones our child will adapt to the best). Similarly, we got Uno three different dog collars to find out which one he will be most comfortable wearing. So we got a soft brown leather padded collar. What I like about it is the good amount of soft padding it features on the inside, so it looks pretty comfortable to wear. It also has a strong D-ring and brass buckle fastening, so I thought this should provide enough security even if Uno pulls hard on the lead. We also bought the angus padded collar. It is made from a durable 100% cotton material and features a comfortable neoprene padding on the inside. Ours came in two colour patterns, which makes it quite different from the other options. Plus, it has nice, durable silver metal buckles and reinforced holes, making it able to stand up to great wear and tear. Moreover, it is completely machine-washable (very super convenient for me). And we got the Dutch Dog Amsterdam Eco-Friendly Van Gogh collar. Those who know me will understand. As a huge fan of art, when I saw this gorgeous webbing dog collar adorn with a Van Gogh Starry Night print, I simply could not resist. I guess this collar is certainly going to turn heads at the dog park, but it is not all about style, it is Eco-friendly and made from recycled non-toxic materials. It is lighter and softer than nylon, but equally durable. We are doing pretty well with Uno and he is loving his new home, especially the kids. I have to confess that it is quite a challenge looking after a dog, but seeing the happiness in my kid’s eyes makes it truly worth it. Keep on reading my posts as I will be sharing the different dog items and products that proved to be the best ones for my Uno. Maybe your little furry friend will benefit from them too.